In today's world, there are many items and activities that can have negative effects on people's health. From using a cellphone to driving a car, there is often some sort of risk associated with the habit. The food Americans eat also impacts their health. The ingredients in products and the U.S.'s high obesity rate contribute to an overall unhealthy society. However, manufacturers, retailers and the federal government are attempting to improve aspects of the supply chain to provide consumers with more nutritious options. If you look at the nutrition label on any chosen food, you probably won't recognize many of the ingredients on the list. However, there's a good chance they aren't healthy for you. The U.S. Food and Drug Administration recently announced that one is much worse than they had initially thought. Trans fat, which can be found in various partially hydrogenated oils to make processed foods last longer and taste better, is no longer deemed safe. The ingredient is used foods such as crackers, cookies, cakes, popcorn, butter and refrigerated dough. However, snacking on these items may be detrimental to your health. According to the FDA, trans fat may cause blockages in the arteries, which lead to heart disease and heart attacks. The organization already requires companies to list the ingredient on labels, but it's now taking a step further to ensure people don't experience adverse health events from trans fat. In June, the FDA announced that the ingredient would no longer be allowed in foods. By June 18, 2018, manufacturers must remove trans fats from products found in grocery stores. If businesses feel they need the ingredient, they can petition the FDA for approval, U.S. News & World Report explained. While the nation is moving toward a healthier society, not all its citizens approve of the changes. The Grocery Manufacturing Association is petitioning the FDA for trans fat's continued use, Manufacturing.net reported. Members of the organization believe that added trans fat is no more dangerous than the naturally occurring instances of the ingredient. They have already lowered the amount in their foods by 86 percent and any lower would be excessive, Leon Bruner of the Grocery Manufacturing Association told the source. "The agency [the FDA] is trying to use its power to go after 'unhealthy' ingredients, not 'unsafe' ingredients," Daren Bakst, a research fellow at The Heritage Foundation, told U.S. News & World Report. "People can make voluntary and informed decisions regarding what food they choose to eat. Sometimes those decisions aren't going to be consistent with the bureaucrats' views on what people should eat. However, that is a choice for individuals to make, not government officials." Previous instances have faced similar backlash, Consumerist explained. Companies have refrained from announcing their healthy changes because of consumer complaints. In 2014, Boston Market started using less sodium in their products and removed salt shakers from the tables. They received criticism for the latter, and held back from letting their customers know about the ingredient change until the items were accepted. McDonald's announced that it changed the oil that their food is fried in, and consumers said the french fries tasted differently before the actual switch was even made. 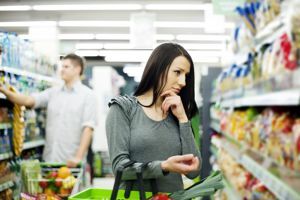 "Consumers say they want healthier products, but they don't want to compromise on taste," Maha Tahiri, General Mills' chief health and wellness office, told the source "It takes multiple months, if not years, to get the right equation between taste and health." Strategic sourcing of ingredients can help make consumers healthier. However, the end of the supply chain - consumers - may need some convincing before these changes can take full effect.